Effortless English Teaching System was created after many years of teaching English in Universities. Over one million adult students worldwide have used the system to improve their English speaking. These students were just like you. They were frustrated English learners who could not speak well. Using the Effortless English system, they learned to speak English easily and automatically. Each of these students made incredible improvements in a very short time. You also will improve quickly when you use the entire Effortless English System. By using all parts of the system, you will improve your English speaking 2-5 times faster compared to other traditional English classes. When you follow the entire system every day for 6 months, your speaking becomes much faster and much easier. Your spoken grammar improves powerfully - yet you will never study grammar rules in this system. Your pronunciation improves powerfully - yet you will not focus on pronunciation. Effortless English system was created upon the very best English teaching techniques and combined them in a clear, simple, easy to use system. When you follow the system exactly, you cannot fail. You will experience the greatest English speaking improvement of your life. The Effortless English system is very simple and consists of three primary areas of mastery: Body, Mind, & Method. By mastering specific techniques in each area, you will powerfully improve your English speaking ability. Your speech will become faster and you will begin to speak English automatically. Body. The first step to English speaking mastery is to master your body & emotions. This seems like a strange statement. Why do you need to use your body to learn English? The reason is simple, by using your body and emotions you can learn English 4-5 times faster! By combining physical movement with English listening, you push the English deep into your brain. You remember vocabulary faster and you never forget it. You remember correct grammar too- even though you never study grammar rules. Physical movement and gestures are the key to fast learning and a long memory. Mind. Our beliefs strongly influence our results. Oftentimes, we succeed when we believe we will succeed - and we fail when we think we will fail. In other words, our Mind influences our learning ability. Destroy your negative beliefs, choose and practice positive beliefs. These are the keys to mastering the mind in Effortless English. Method. The Effortless English method refers to the specific teaching techniques we use. These techniques were developed from the top teachers and researchers in the world. The Effortless English System is designed for one thing- to make you an outstanding English speaker. 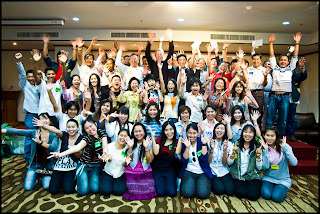 At Effortless English, our entire focus is on speaking English easily and quickly. When you use Effortless English method, you improve easily. In fact, in six months you will have incredible speaking power – easily. Native speakers will understand you easily. You will understand them. You will finally feel relaxed, happy, and confident when you speak English. If you want to speak English fluently in a very short time you can buy Effortless English Lessons now. Click the link below to go to the AJ Hoge's website. Click here to start learning with Effortless English! You can download your Effortless English lessons immediately after purchase. The download link will be e-mailed to you. Good luck!